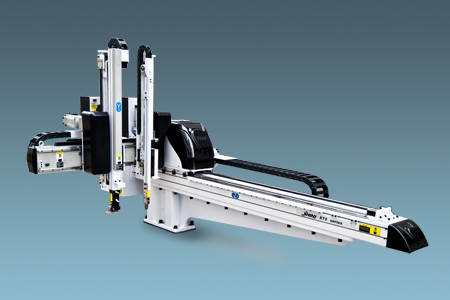 The ST5-S series robot is designed for rapid and precise removal of products from injection molding machine, and place them at desired locations. 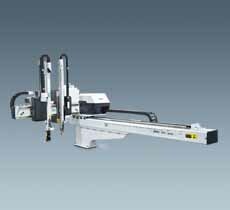 Standard and telescopic arm(s) are selectable to cooperate with 2-plate mold or hot runner system. Capable of arranging, stacking, quality checking and in mold placement. Suitable for injection molding machine under 300T clamp force.